We exist in a mode of continuous exploration and regularly play around with, and yet always stay serious about, dyes, fastness and fabrics production. For example, Aurovilian artist Jyothi is supported by The Colours of Nature. He uses the premises as his own studio (our colours are his colours, his creativity is our creativity!). We believe in unending education and others, who are like-minded, seek us out too. Jesus, the founder of TCoN, is at heart a scientist, never tiring of the multitude of possibilities that exist in this work. Visiting artisans all around is also a part of that. 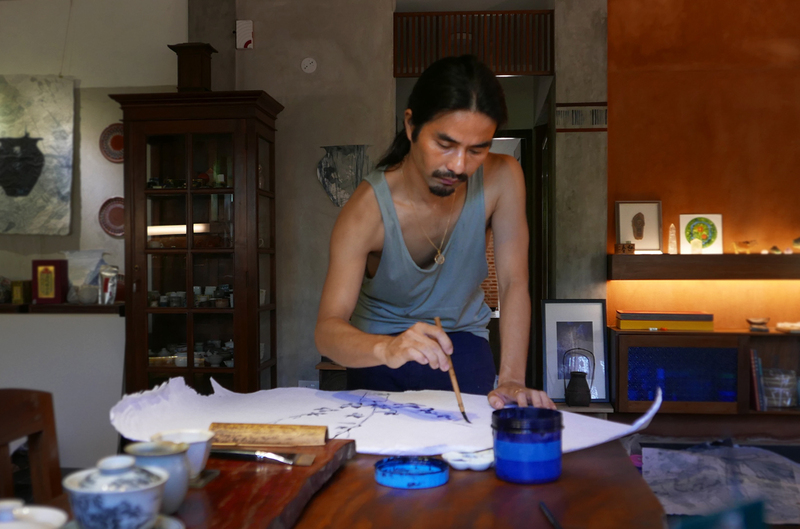 The Colours of Nature supports Aurovilian Japanese calligraphy artist Jyothi Naoki Eri and others who seek us out for their projects, on- or off-site. Jyothi was born into an artist family and started to study calligraphy at the age of seven. Residing in Auroville, he is listed with Auroville Art Service. His most recent work applies indigo pigment and gold leaf on canvas and clay and is featured on his website. At The Colours of Nature, we share his passion for constant exploration. Our interest in dyes is our way of life. One day we may investigate the purple-inducing secretion of sea snails, the next set out to harvest a flower just nearby. Natural dyeing of cotton is difficult because cotton does not retain the alum easily. In the past, the Turkey red technique, using oil, was much used. At The Colours of Nature we have mastered, through years of dedicated experimentation and research, this technique. 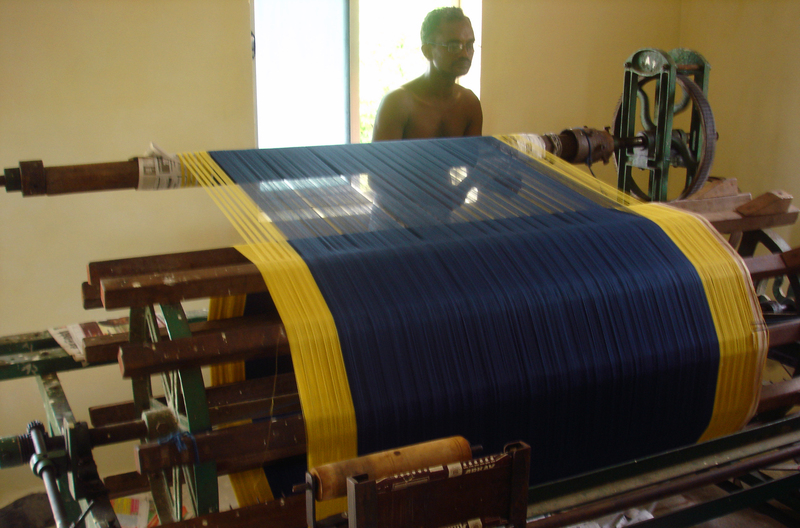 By now, our knowledge of alum formulas enables us to not only achieve the required fastness in cotton but to do so in a way that it can be employed for a wide palette and mechanized for bulk. 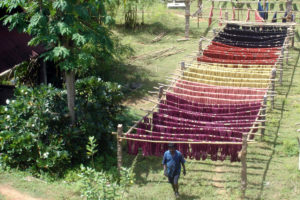 This helps natural dyes be competitive. Good news for the earth. But our work does not end here, it is on‐going. Whether adjusting the warp in order to achieve sufficiently tight and high quality handloom denim or finding the most skilled artisans for weaving patterns, count on The Colours of Nature. We take great pleasure in being the first to address a weakness or issue and have a track record in pre‐empting the demands of our often picky customers. Our interest does not end with the colour; we rather delight in working with the best along the entire garment cycle. Try us!